Today on Hempresent Vivian McPeak is joined by Nick DiCenzo from Cannabis Can. Cannabis Can is a non-profit organization that addresses the issue of homelessness in America with a completely new approach. They get out there and share hugs and a gentle reminders that we are all human with rights and responsibilities to our community regardless of circumstance and without judgement. Cannabis Can believes that working together towards a solution will allow the community to become more cohesive as a whole. Cannabis Can endeavors to help provide the homeless regular access to restrooms, showers, and haircuts. They hope to make online drives accessible to the homeless for personal document retrieval and backups. They also hope to support a local drug rehabilitation program. 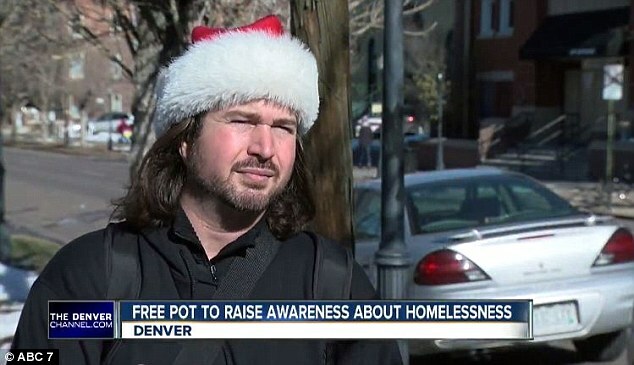 Cannabis Can is freely giving away pre-rolled marijuana joints to anybody and everybody we meet on the streets in order raise awareness on homelessness! Click here to learn more about Nick DiCenzo.